You love getting stuff in the mail, right? I mean stuff that isn’t bills. No one likes bills. Handwritten cards, letters, and notes are a delight to pull out of your mailbox and enjoy. They make you feel connected to another human being in a way that digital correspondence can’t replicate. But you probably only ever send or receive mail around birthdays or the holidays. 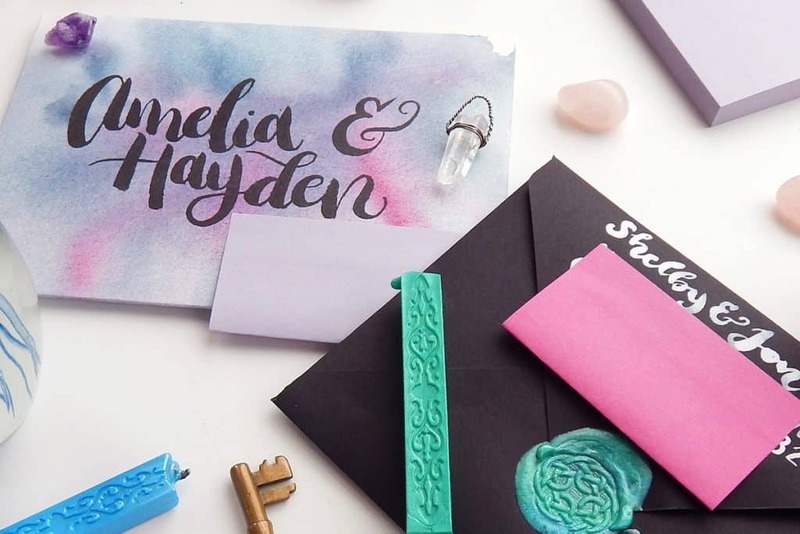 Wouldn’t it be nice to make heartwarming snail mail a more regular occasion? 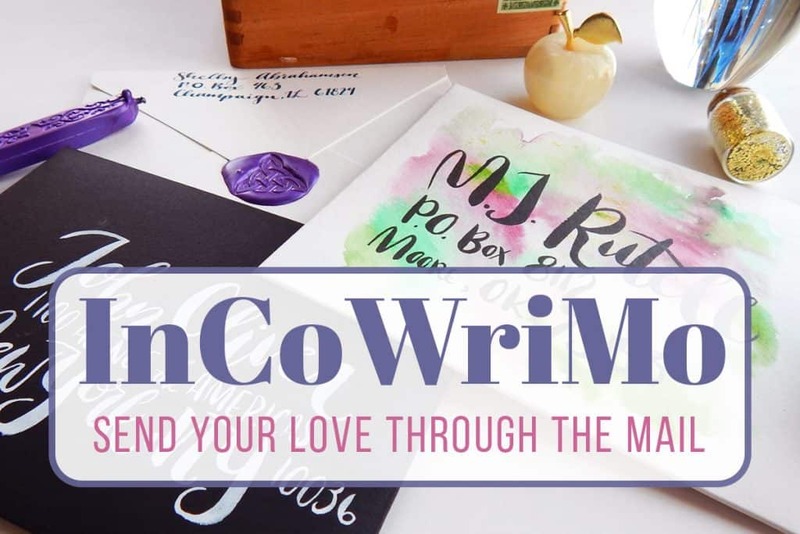 You can, with the help of a little thing called InCoWriMo (aka International Correspondence Writing Month)! This challenge, much like NaNoWriMo, sounds like gibberish but makes perfect sense. The challenge is to write a letter, card, or other handwritten delight and mail it out for every day of February. This might sound like a daunting task, but it’s not too bad (especially considering that there are only 28 days in February)! Just gather up the names and address of 28 people, some paper, and some envelopes. But first, recite this pledge from the InCoWriMo site to announce your intent for the world to hear! I, [insert your name], clearly see the benefits of InCoWriMo participation, not only to me personally, but also to those who will receive my correspondence. InCoWriMo is a beneficial endeavor and worthy of my full attention. I hereby pledge to hand-write and mail/deliver one letter, card, note or postcard every day during the month of February. Then pick up your pen and start writing! And if you decide to post on social media, don’t forget to use #incowrimo or #incowrimo2018 to share. If you want to really make your letters extra special with some artsy pizazz, then I’ve got you covered! I’m personally a big fan of taking the time to brush letter out a beautiful card and write very little. Otherwise, I get rather bored writing the same general update of my life over and over again during the month! I also like to select a few special recipients and make my own envelopes out of watercolor paper so I can make a truly unique design. You know how I love my watercolor! Sending anything through the mail for InCoWriMo is special, but sometimes it’s fun to take the time to play around and get creative. So don’t hold yourself back! If you’re feeling like doodling on your letters or cards, go for it! If you want to try out a new technique of lettering you just learned, then do it! This is your chance to share a piece of yourself. You might be worrying that you don’t possibly know enough people to send 28 letters. I was worried about that, too. But after only an hour of gathering addresses, I now have more than 30 people who are on my list! If you put your mind to it and look, there are people all over who would love to hear from you. I’m tellin’ ya, people adore getting snail mail. You probably have several grandparents, aunts, uncles, or cousins who might love to get a letter from you. That is a solid start! After family, think of any friends you haven’t seen in a while. Send them some love, too! If you know of anyone going through a tough time right now, a card is the perfect pick-me-up that is sure to brighten their day. You can always, of course, find all kinds of pen pal groups on Facebook for all kinds of interests. There’s religious pen pals, crafty pen pals, political pen pals, and tons more. Just search and I bet you will find something that piques your interest. And don’t forget me! I’d love to receive your letters and cards! I might not be able to respond to all the letters I get, but I definitely read them all and appreciate them dearly. As a bonus tip, I’d suggest you keep all your addresses in an Excel file or a separate address book. I actually don’t keep these in my bullet journal because the information is sensitive and bulky. It’s easier to save and use in a digital format. Recite the pledge, gather some addresses, and get started! Bring this lost art back to life and see how wonderful it can be. Who knows? You might make a lifelong friend through pen and paper, or rekindle an old friendship. You might even be inspired to keep it going well past February and build better connections with your fellow human beings! The only way to know is to pick up your pen and find out. Hey, I’m wondering about the awesome Celtic knot seals in your pictures. Where did you get them? Also, do you have a particular template or pattern for making the envelopes out of watercolor paper? Thanks for this post, I’m looking forward to sending at least a few letters this month. Such a neat idea! I may not get 28, but I’ll see what I can do! I love this and have been dying to by and use the gorgeous blank cards and stationery I see in little neighborhood shops around town. Coming up with names of people to write to is the easy part for me. When I sit down to write, however, my brain goes blank. I’m stuck on what to write. Do you have suggestions or resources to share for writing prompts specific to correspondence? Thanks! That’s a great question, Pam! I guess that depends a bit on who you are writing to. For friends, I’ve been asking about their latest goings-on and updating them on my recent shenanigans. For new pen pals, I’ve been giving a bit of a background and discussing hobbies or common interests, then asking loads of questions. For some, I haven’t been writing letters so much as I’ve just sent a short-messaged card. Pinterest helps a ton if I’m not sure what to write! I hope this helps a little bit, but I’m sure you can dig up some awesome conversation if you sit down with some good music and relax. Good luck, Pam, and thanks for reading! Small world. Champaign is my home town! Wow, no kidding? What a small world indeed! You have a lovely home town, Christy!